Signature Moisture Transport System wicks sweat to keep you dry &ampamp light. Lightweight, 4-way stretch construction improves mobility &ampamp maintains shape. Anti-microbial technology keeps your gear fresher, longer. Exposed elastic novelty waistband with a rise that sits just right on your hips 5.5 inch inseam. Polyester/Elastane. Super-light UA HeatGear fabric updated to deliver superior coverage &ampamp support. Signature Moisture Transport System wicks sweat to keep you dry &ampamp light. Lightweight, 4-way stretch construction improves mobility &ampamp maintains shape. Anti-microbial technology keeps your gear fresher, longer. Exposed elastic novelty waistband with a rise that sits just right on your hips 3 inches inseam. Super-light HeatGear fabric delivers superior coverage without weighing you down. Signature Moisture Transport System wicks sweat to keep you dry &ampamp light. Lightweight, 4-way stretch construction improves mobility &ampamp maintains shape. Anti-microbial technology keeps your gear fresher, longer. Exposed elastic novelty waistband with a rise that sits just right on your hips. Ultra-tight compression. Be ready to train at a moment~s notice in the Tech S/S Tee. 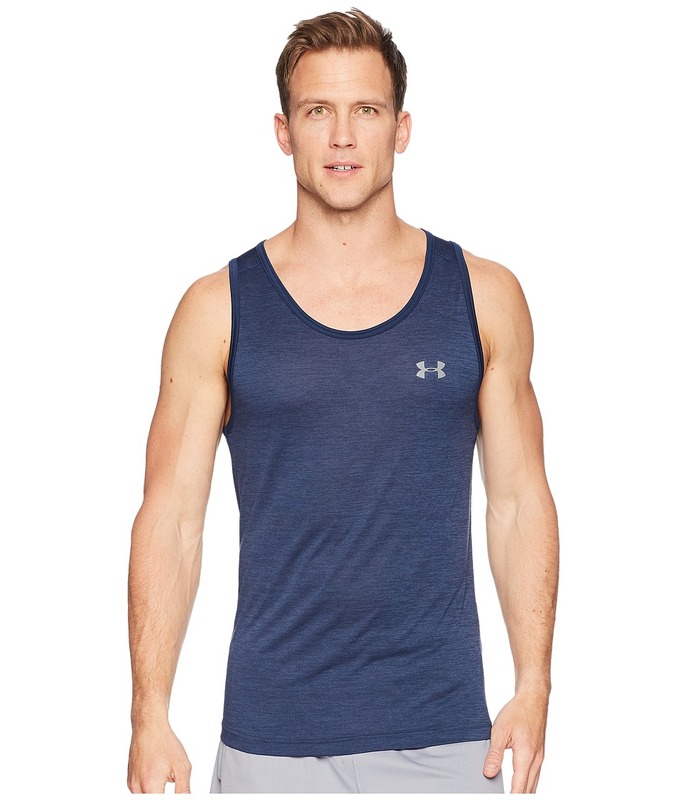 All Under Armour Apparel features a tagless design or tear-away tag with no left-over pieces. Loose fit is a generous, full cut for ultimate comfort and unrestricted mobility. UA Tech fabric is extremely lightweight with an ultrasoft hand and four-way stretch capability. HeatGear technology pulls perspiration away from your skin and pushes it towards the surface for rapid evaporation. Anti-odor technology repels odor and inhibits bacterial growth to keep you fresh. Ribbed crew neck. Raglan sleeves provide full range of movement and eliminate shoulder seam chafing. Flatlock seams reduce chafing and increase comfort. 100 percent polyester. Machine wash cold, tumble dry low. Imported. Measurements: Length: 30 in Product measurements were taken using size LG. Please note that measurements may vary by size. 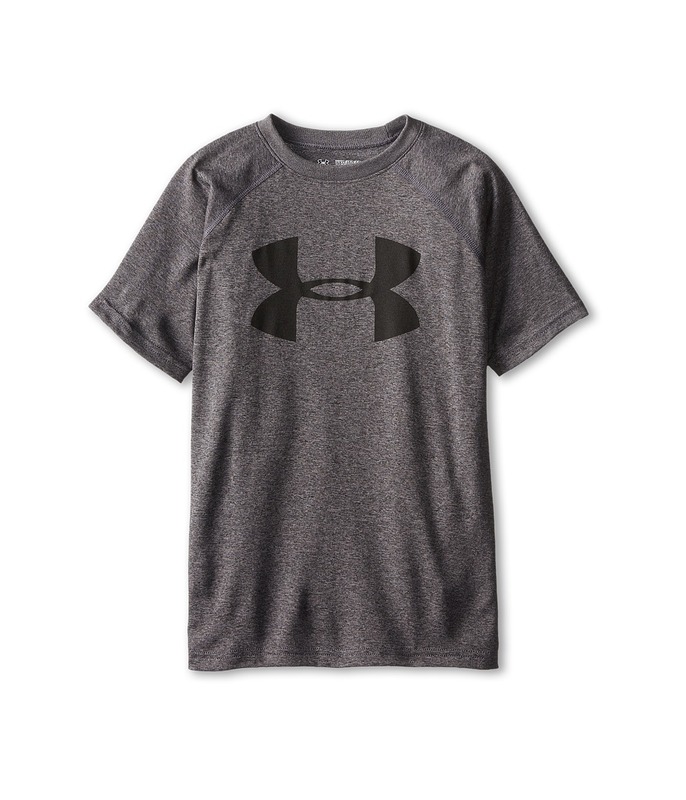 When training, let the boys know what brand keeps you focused and well equipped for the game in this Under Armour Big Logo Tee! 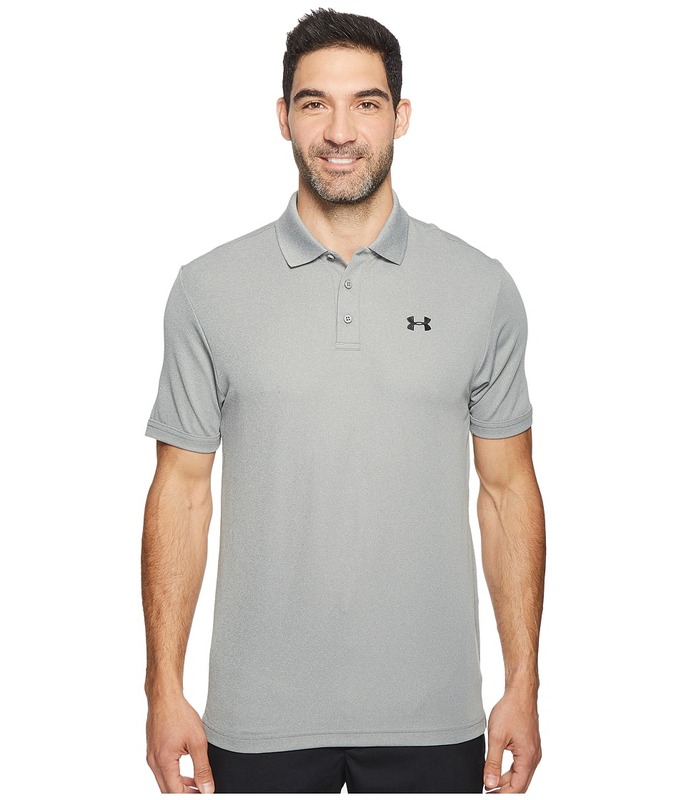 All Under Armour Apparel features a tagless design or tear-away tag with no left-over pieces. Loose fit is a generous, full cut for ultimate comfort and unrestricted mobility. HeatGear technology pulls perspiration away from your skin and pushes it towards the surface for rapid evaporation. UA Tech fabric is extremely lightweight with an ultrasoft hand and four-way stretch capability. Classic crew neckline. Short raglan sleeves. Straight hemline. Large UA logo at center chest with smaller logo at nape. 100 percent polyester. Machine wash cold, tumble dry low. Imported. Measurements: Length: 22 in Product measurements were taken using size SM (8 Big Kids). Please note that measurements may vary by size. As a base layer or your only layer, when the mercury heads south, the ColdGear Fitted L/S Mock is an essential piece of equipment. All Under Armour Apparel features a tagless design or tear-away tag with no left-over pieces. Fitted fit is snug, but not tight, for next-to-the-skin support without the squeeze of compression. Four-way stretch allows a wider range of movement and accelerates dry time. ColdGear technology utilizes a soft, brushed interior that circulates body heat and wicks moisture away from the skin to the smooth exterior for rapid evaporation. Anti-odor technology repels odor and inhibits bacterial growth to keep you fresh. Mock neck. Long-sleeve coverage. Notched side seams. Flatlock seams reduce chafing and increase comfort. 87 percent polyester, 13 percent elastane. Machine wash cold, tumble dry low. Imported. Measurements: Length: 24 in Product measurements were taken using size XS (US 0-2). Please note that measurements may vary by size. 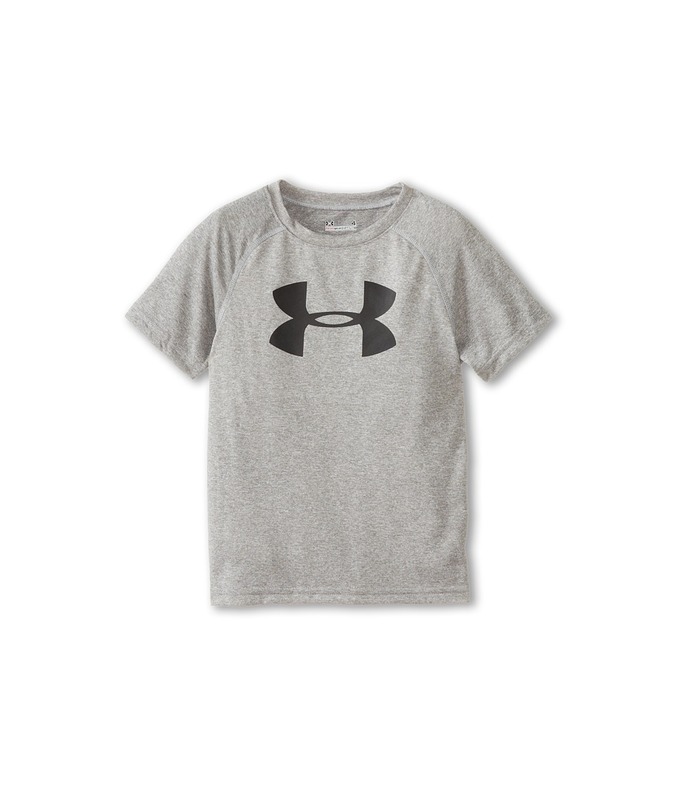 Have your little one rock a clean cut look while training in this Under Armour Kids Big Logo Tee! All Under Armour Apparel features a tagless design or tear-away tag with no left-over pieces. Fitted fit is snug, but not tight, for next-to-the-skin support without the squeeze of compression. HeatGear technology pulls perspiration away from your skin and pushes it towards the surface for rapid evaporation. Sporty crew neckline. Short raglan sleeves provide a wide range of motion. UA logo at center chest. Straight hemline. 100 percent polyester. Machine wash cold, tumble dry low. Imported. Measurements: Length: 16 in Product measurements were taken using size 2T Toddler. Please note that measurements may vary by size. 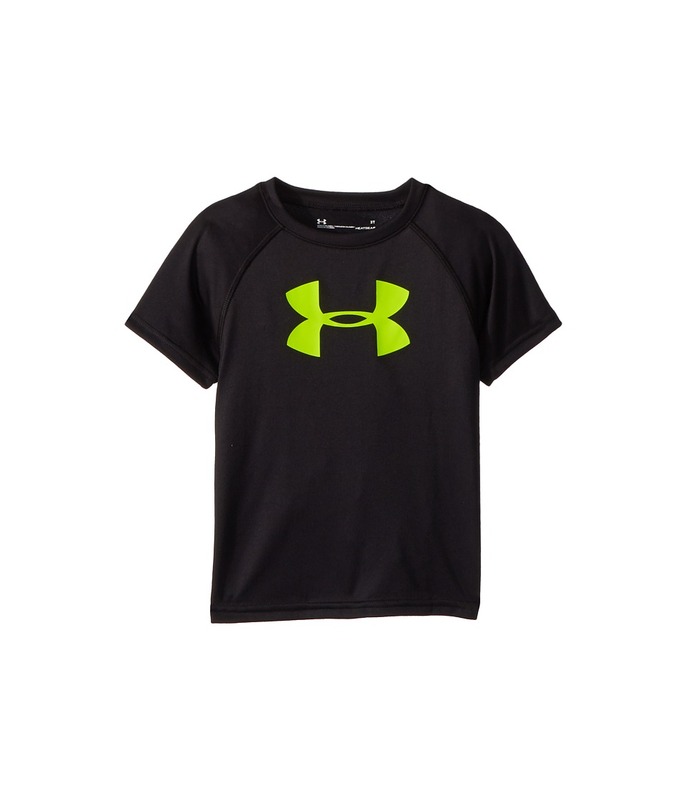 Have your little one rock a clean-cut look while training in this Under Armour Kids Big Logo Tee! 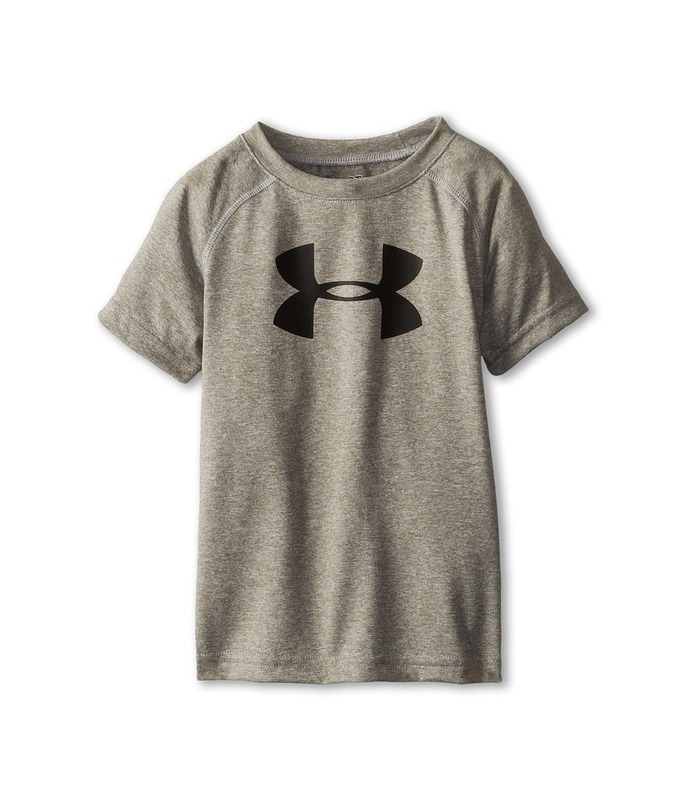 All Under Armour Apparel features a tagless design or tear-away tag with no left-over pieces. Fitted fit is snug, but not tight, for next-to-the-skin support without the squeeze of compression. HeatGear technology pulls perspiration away from your skin and pushes it towards the surface for rapid evaporation. Sporty crew neckline. Short raglan sleeves provide a wide range of motion. UA logo at center chest. Straight hemline. 100 percent polyester. Machine wash cold, tumble dry low. Imported. Measurements: Length: 18 in Product measurements were taken using size 4 Little Kids. Please note that measurements may vary by size. Maximum support with minimal weight! 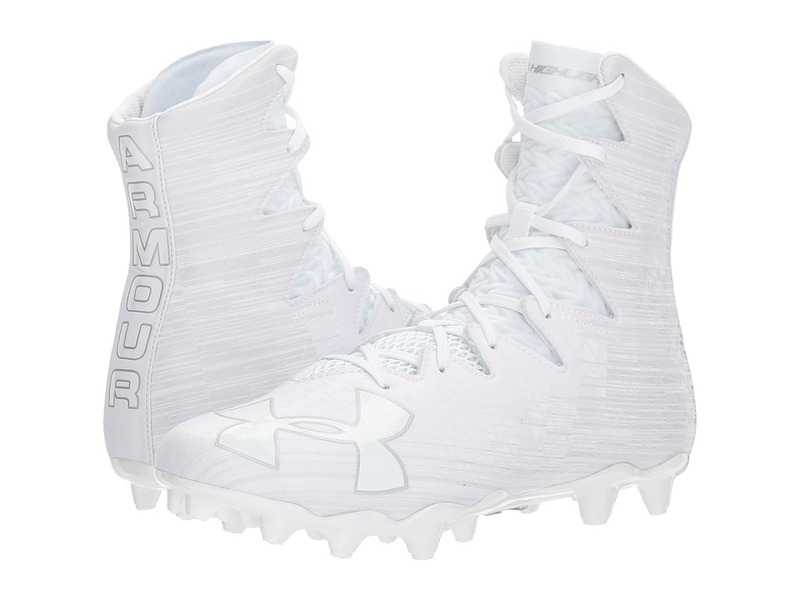 Keep light on your feet and strong as an ox with the Under Armour UA Highlight MC football cleat. Synthetic upper with ultra supportive, ankle hugging CompFit sleeve to deliver an incredible snug feel and give you an extra boost of speed. 3D molded MPZ tongue uses UA~s ultralight padding to protect the top of your foot. 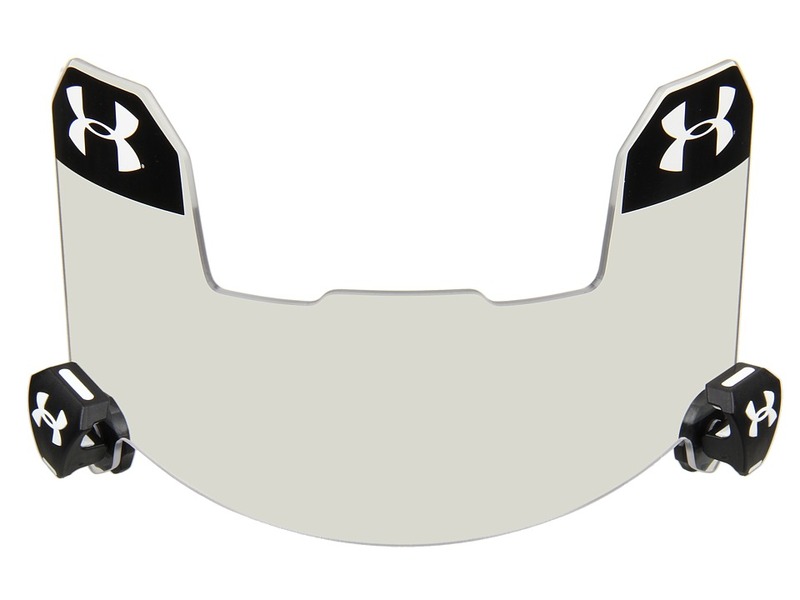 UA Corespeed chassis supercharges the foot~s natural motion, flexibility and acceleration, delivering superior mobility. Foot-forming 4D Foam footbed molds to the foot for a locked in, comfortable and customized fit. Lightweight, bladed cleats provide superior traction for quick cuts and explosive acceleration. Imported. Measurements: Weight: 13 oz Shaft: 8 in Product measurements were taken using size 12, width D - Medium. Please note that measurements may vary by size. Weight of footwear is based on a single item, not a pair. The shirt that started the legacy. All Under Armour Apparel features a tagless design or tear-away tag with no left-over pieces. Lightweight UA Tech&amp#8482 fabric with an ultrasoft, natural feel for unrivaled comfort. Signature Moisture Transport System wicks sweat away from the body. Anti-odor technology prevents the growth of odor-causing microbes. Smooth, chafe-free flatlock seam construction. Full, loose fit for enhanced range of motion breathable comfort no matter where your workout takes you. 100 percent polyester. Machine wash cold, tumble dry low. Imported. Measurements: Length: 15 in Product measurements were taken using size 2T Toddler. Please note that measurements may vary by size. 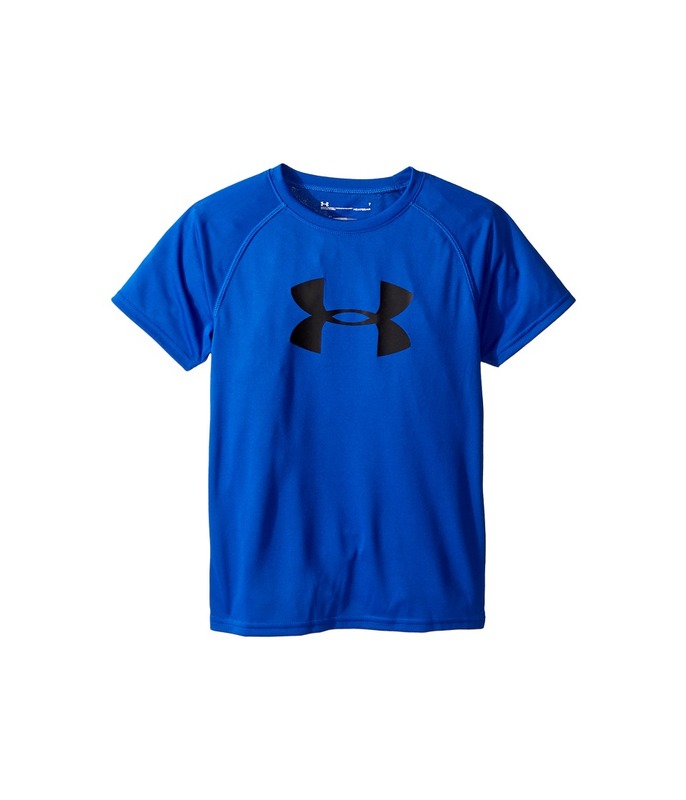 When training, let the boys know what brand keeps you focused and well equipped for the game in this Under Armour Kids Big Logo Tee! All Under Armour Apparel features a tagless design or tear-away tag with no left-over pieces. Loose fit is a generous, full cut for ultimate comfort and unrestricted mobility. HeatGear technology pulls perspiration away from your skin and pushes it towards the surface for rapid evaporation. 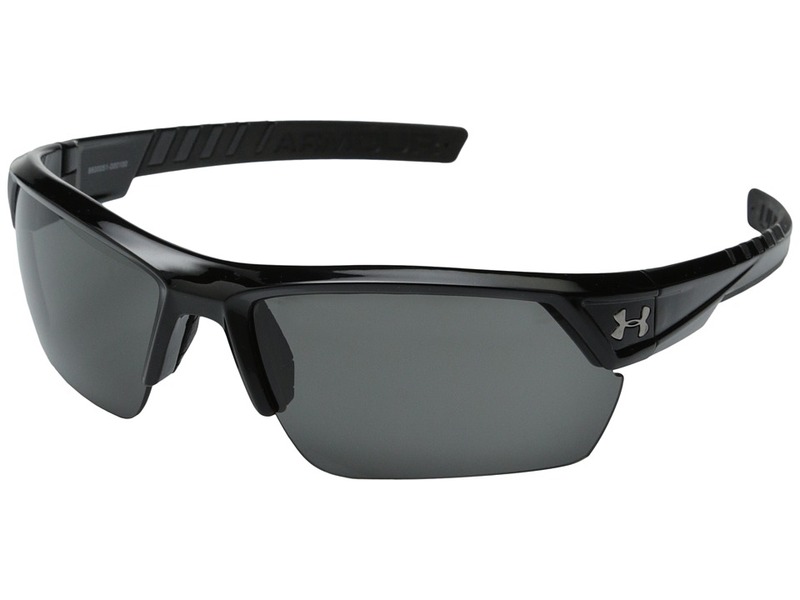 UA Tech fabric is extremely lightweight with an ultrasoft hand and four-way stretch capability. Classic crew neckline. Short raglan sleeves. Straight hemline. Large UA logo at center chest with smaller logo at nape. 100 percent polyester. Machine wash cold, tumble dry low. Imported. Measurements: Length: 17 in Product measurements were taken using size 4 Little Kids. Please note that measurements may vary by size. The shirt that started the legacy. 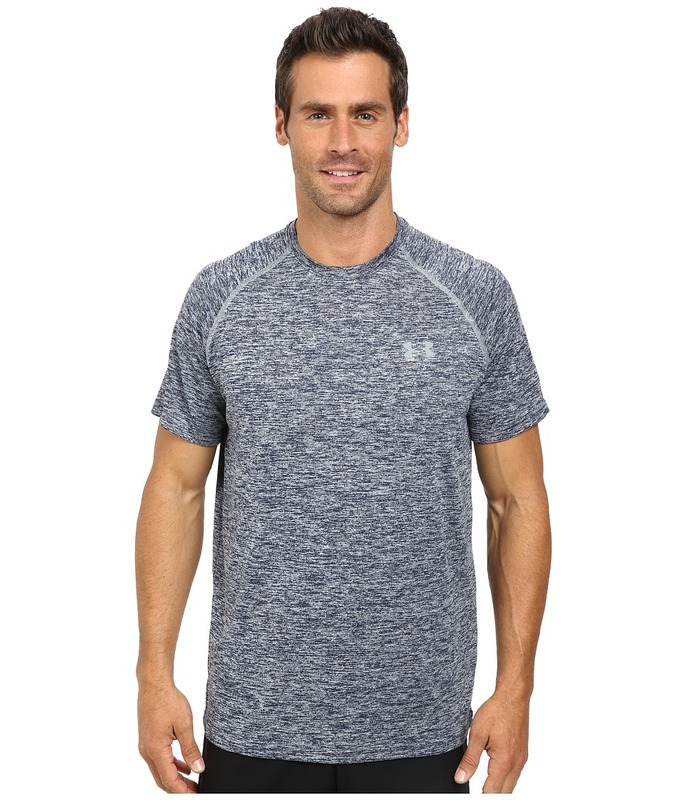 All Under Armour Apparel features a tagless design or tear-away tag with no left-over pieces. Lightweight UA Tech&amp#8482 fabric with an ultrasoft, natural feel for unrivaled comfort. Signature Moisture Transport System wicks sweat away from the body. Anti-odor technology prevents the growth of odor-causing microbes. Smooth, chafe-free flatlock seam construction. Full, loose fit for enhanced range of motion breathable comfort no matter where your workout takes you. 100 percent polyester. Machine wash cold, tumble dry low. Imported. Measurements: Length: 21 in Product measurements were taken using size MD (10-12 Big Kids). Please note that measurements may vary by size. 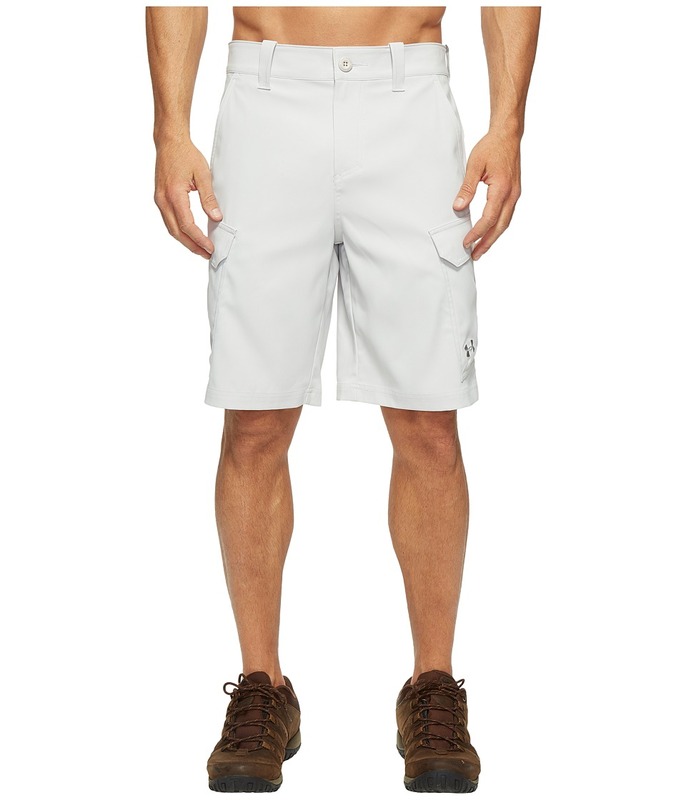 A day on the water calls for the rugged durability and lasting comfort of the Under Armour Fish Hunter cargo short. All Under Armour Apparel features a tagless design or tear-away tag with no left-over pieces. Part of the OFFSHOUR ARMOUR fishing collection. Full, loose fit allows for breathable comfort and a full range of motion. UA Storm gear uses a DWR (Durable Water Repellent) finish that repels water without sacrificing breathability. 30+ UPF protection against the sun~s harmful rays. Salt- and chlorine-resistant materials protect against fading and wear in the water. Anti-odor technology prevents the growth of odor-causing microbes. Lightweight, quick-drying, four-way stretch polyester blend provides all-day comfort, boosts mobility and maintains its shape. Belt loops at waistband. Button closure with zippered fly. Hand pockets. Side cargo pockets. Slip-in back pockets. 93 percent polyester, 7 percent elastane. Machine wash cold. Tumble dry low. Imported. Measurements: Waist Measurement: 32 in Outseam: 21 in Inseam: 10 in Front Rise: 12 in Back Rise: 17 in Leg Opening: 24 in Product measurements were taken using size 32, inseam 10. Please note that measurements may vary by size. UA Tech&amp#8482 fabric has an ultra-soft, more natural feel for unrivaled comfort. 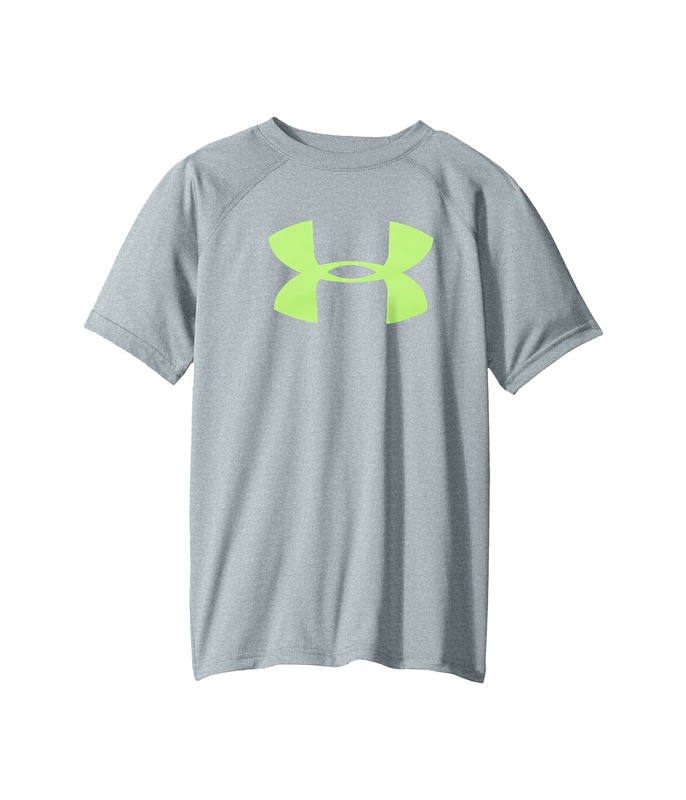 All Under Armour Apparel features a tagless design or tear-away tag with no left-over pieces. Signature Moisture Transport System wicks sweat away from the body. Anti-odor technology prevents the growth of odor-causing microbes. Smooth, chafe-free flatlock seam construction. Full, loose fit for enhanced range of motion breathable comfort no matter where your workout takes you. 100 percent polyester. Machine wash cold, tumble dry low. Imported. Measurements: Length: 30 in Product measurements were taken using size LG. Please note that measurements may vary by size. The UA Performance Polo has now been redesigned to have a more athletic fit while still keeping the technical performance that you demand. All Under Armour Apparel features a tagless design or tear-away tag with no left-over pieces. Smooth, soft anti-pick, anti-pill fabric has a cleaner, snag-free finish. Lightweight, 4-way stretch construction improves mobility and accelerates dry time. Signature Moisture Transport System keeps you cool, dry, and focused. Anti-Odor technology prevents the growth of odor-causing microbes. Durable rib-knit collar. 30+ UPF protects your skin from the sun~s harmful rays. 93 percent polyester, 7 percent elastane. Machine wash cold, tumble dry low. Imported. Measurements: Length: 31 in Product measurements were taken using size LG. Please note that measurements may vary by size.